what a great book. Got me hooked line and sinker from the first chapter. Likeable MC and easy to follow the story. 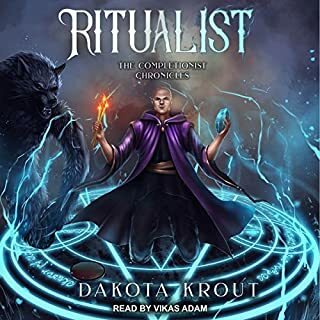 Really well written and the narrator killed it! Waiting for the next instalment, brilliant. 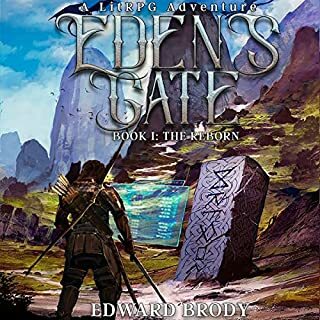 If you like LitRPG stories that involve building bases and in-depth characters, then this is a story for you. Brilliant character build up and following, the build up of the past and then the events that follow keep you hooked, I couldn't put this book down and can't wait for the next one to be completed. I recommend this book and give it 5/5 as I haven't heard a story like this for awhile. I really enjoyed two main themes - an experienced &quot;player&quot; starting from the beginning with a completely different perspective. And all the trouble you can get into before Level 20. Finally the unrealistic expectations of new players who don't respect the whole role. 10/10 and a hunger for a follow up novel, well worth the experience and another author to follow. the narrator did a great job portraying a goblin and it's community. the story did get a little repetitive but unavoidable to give a more realistic view on the daily struggles. came back strong and ended on a high note! Loved the story, excited to see what comes next! An interesting take on LitRPG worlds. Enough there to be disappointed the Sequel isn't ready !! Ok Debut but what's with the echoey VIC thing, Shem MeOld son ? Ready for a hearing test !!!! Oren was one of the first players in New Era Online, an immersive virtual reality MMORPG. He leveled up in the game until he was a highly influential player, the head of the top guild in the game, with an impressive number of prime badges. All that is taken away when Oren is betrayed and a powerful scroll spell is used against him. Oren wakes up as a tiny green goblin in the unexplored Deadlands of New Era Online. Determined not to delete his character, Oren decides to continue to play as a goblin and wreak his revenge. To do this, he needs to build a goblin city in the Deadlands and take the fight to the players who betrayed him. If you're a fan of this genre, you know what to expect. The main character takes on quests, level grinds, improves his stats, and interacts with the game. This book has all that and more. There's really something for everyone here. If you love stats, this book is full of them, Oren's personal stats, the stats of his goblins, his building stats, resource stats, you name it. If you love city building, this is the book for you. You can just settle back and watch him build his new village, weighing food production needs against resource management, watching everything move at a realistic pace. And if you like combat, there's some of that too, as Oren defends his new settlement and takes out those threatening it. I was genuinely invested in Oren and his progression. In the beginning, he made some frustrating bonehead decisions, and tried to explain why the mistakes actually worked in his favor. But by the end, his struggle to hold everything together made him really likable. There's some other characters I can't wait to see more of. It's going to be interesting to see where the series goes from here. 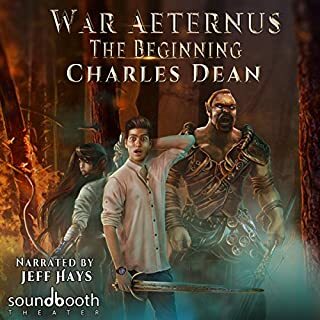 Jeff Hays did an awesome job with the narration. He has an impressive number of different voices for the characters, and is consistent with them throughout the book. He also has a realistic female voice which I always appreciate. He made the book a pleasure to listen to. I requested a copy of the audiobook, and I'm voluntarily leaving a review. 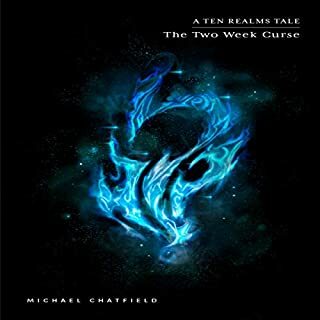 I'd 100% recommend this book to fans of the LitRPG genre. This would be a perfect first title for someone wanting to see it they like these types of stories. Very thorough, but keeps the pace steady and easy to follow. I will be eagerly waiting for the next one. 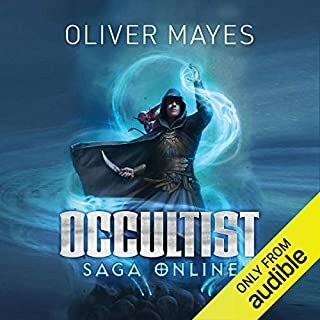 This is another one of the few LitRPG series on audible that is truly well written and more importantly seems to have actually been edited. 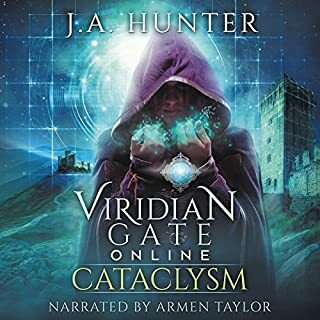 If you're like me and love classic LitRPG, but can't bare to face-palm your way through another unedited string of beginner writer's mistakes then you know what I mean. This book actually deserves the 5 stars. A very fun and very long first entry in what i hope is a many book series. I usually avoid litrpgs where the people can log out (which most of them can) but the way the mc gets stuck is very believable and gives him a real goal to work towards. Only one game mechanic made me cringe and go, "no one would make or play a game like that." Which is high praise for this genre. 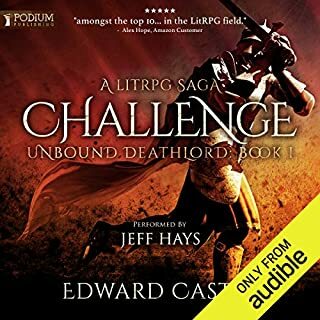 I highly recommend this to anyone who enjoys the litrpg genre. I can't wait for the next one. 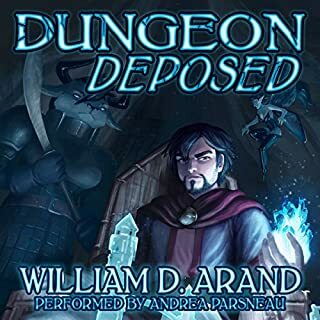 I am not usually into these types of litrpgs, where the world is a game and everyone knows it. But this story is a great take on this type of world. Well written, funny, smart with lots of action and twists. its a hefty read at 25 hours as well. Shout out to the sound editors and the narrator who do a great job bringing the story to life. I, for one, welcome our new green overlords and eagerly await the next book. I'm invested in this series. 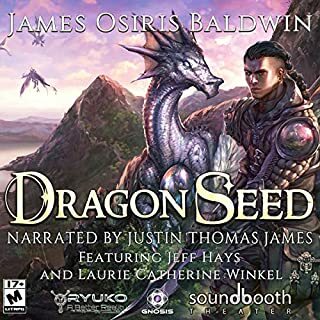 This is a geat lit rpg series I hope that audible will continue with. Through a twist a player gets to play as a mob character. We gamers all know how over powered a player would be with dungeon boss powers so this is a fun idea that I haven't seen explored until now. Excited for the second book. I had a very difficult time taking breaks from this story, it was so very engaging. It's a long story, but well worth the time. I'm starting the next book as soon as I finish this review. Who doesn’t love an under dog. Life Reset does a great job exploring the often neglected game aspect of strategy game play of builing up your town and running into resource issues with a nice mix of combat and character development. The story could use a little more refining but it’s a great and enjoyable story. Life Reaet will have you pulling your hair out sometime asking why the MC makes some decisions he makes but if you get over that one problem you will completely enjoy it and waiting for the next one. This is one of those books I wish I could forget, just so that I could read it again for the first time. What can I say I loved it so sad there isn't a 2nd book yet was great good story well read I highly recommend. 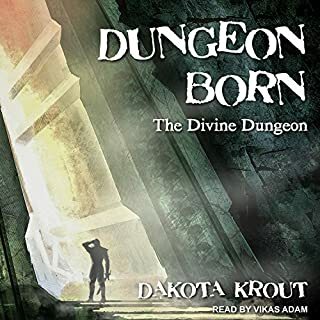 Having said that you are getting excellent value for money as the Audible version is very well done. 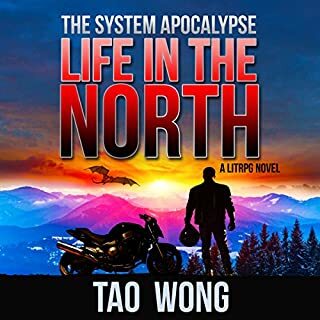 Jeff is a great narrator with good diction and timing for the pace of the novel and it is a long book and story, so try and fly to Australia to listen to it, so you don't listen to it at work! Moving to the story and plot. 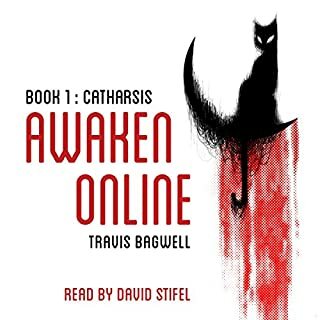 The opening chapters are, to me a little clunky as the author assimilates the real world and game world to us, but some really thoughtful examples of what would happen to the world if immersion technology really happened, but this is OK and certainly drew me into the story very easily. Once in, it really takes off and the Main Character then starts to develop or to be fair redevelop and you get a rich game world and system with some clever mechanics. This is definitely a game world you would want to play in and be a part of and the system is easy to follow. Leveling is well done, usually they kill a God in chapter 3 and then are uniquely brilliant. Here there is some uniquely brilliant skills etc, but the story makes it both acceptable and plausible in the context as well as some clever out of the box thinking on gaming lore and procedures. The plot is good and diverse, though of course following a relatively predictable theme of gaining levels etc. 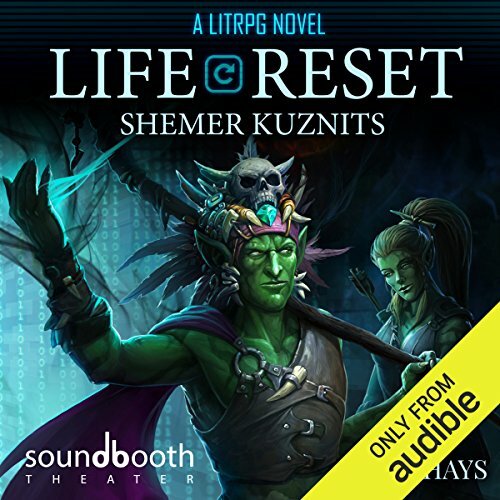 But it is more than that and is engrossing and engaging so 10 out of 10 for the Shemer Kuznits for the plot and for the cast which also fills out the story. Lots of people for you to like, love and treat like old friends when they develop in Book Two.. 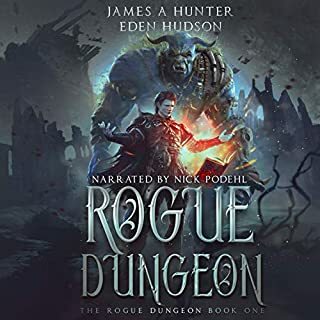 Seriously, this is a great book and a great Audible purchase and one of the very best in this LitRPG Genre. Get a copy of this today if you have not already done so. 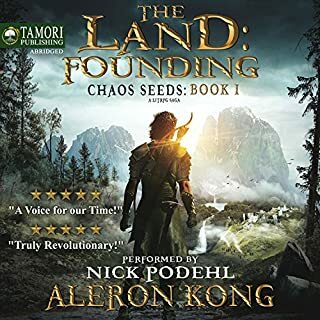 I have listened to almost all of the LitRPG books on audible and was struggling to find anything I liked as much as the Land by Aleron Kong. This book did not disappoint. Certainly the best book I have listened to in a long time. Not a bad book overall! Creature stats readouts get a little repetitive, but not too much so that you get bored, part of the format really! try not to think "Why isn't he doing this?" Or, "He really could do that, why hasn't he done it already?" Some of it's a learning curve for him, and other times he has his reasons that end up getting g explained anyway. Enjoy it for what it is! 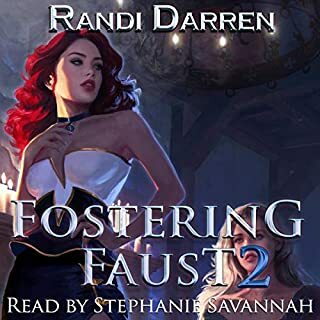 The narrator does a pretty good job, even with the voice changer effects I appreciate his work in finding different voices for different characters. Highly enjoyable, looking forward to the next! 23 hours of superb audio enjoyment with only minor points the author should change in my personal view. The MC is rude and very abrupt with very little, if any courtesy when initiating conversation with other chrs. The author uses suspense at EVERY turn that it reduces the effect that is intended after a while. (Spoiler), Not happy with the never ending detail when the MC was captured and tortured near the end of the book. The MC is constantly thinking negatively and could be more positive at times. This would reduce the suspense sometimes but suspense at every turn is too much and made me jump forward in 30 sec intervals until the so called suspense monent was over. Just too much, too often. Other than all that, when's the next book, I can't wait. On audio of course. Overall, terrific 1st book, well done and keep it up please. 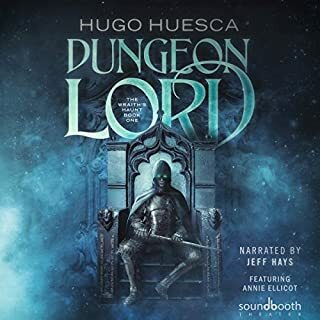 The sample audio for this master (green)piece hooked me right away, the excellent narration portraits the books characters to their fullest while achieving a steady pace. The story of great throughout, so why 4 star you may ask, well one or two plot could be predicted if you listened close enough. This also added to the excitement when you knew what was going to happen, it's just a matter of how. 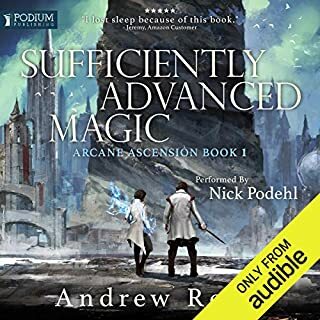 Overall, I'm struggling to find a better LitRPG series on audible right now. 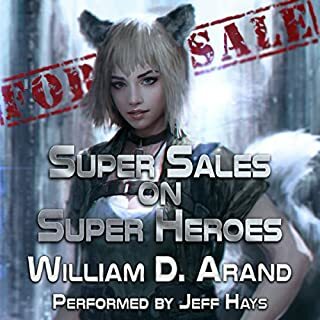 This book was my first in the litrpg genre and it blew me away. I love the world, the story and the trials and tribulations that befalls Orren and his Greenpeace tribe. Really enjoyed this, was well written, well read and a good progressive story. Plenty of stats with regards to leveling up. Overall a good listen.